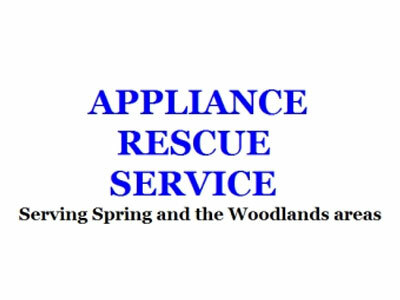 Appliance Rescue is a family owned and operated business dedicated to giving it's customers the best service possible. We at Appliance Rescue appreciate our customers and to show it we have a "20/20 on-time guarantee". What this means is, we will be at your door within 20 minutes of our scheduled appointment or you get $20.00 off your bill. Repair or not. Put that on top of our 1 year warranty on parts and labor and our satisfaction guarantee, you would think there is nothing else to offer.... Wrong. Our scheduling is ON THE HOUR. We won't give you the typical 4 hour window of arrival. We schedule our customers on EXACT times that fit their schedules. Appliance Rescue proudly offers a satisfaction guarantee! If for some reason, you are not satisfied with your technician, or our service, and we can't remedy the situation to your satisfaction, you don't pay! We will simply have the new parts removed and then thank you for giving us the opportunity to serve you. Appliance Rescue is much more interested in having you as a customer in the years to come rather than leave you with a bad impression of our service! Each part we install, and its related labor is warranted for 1 full year of normal household use! Technicians use factory fresh new parts on all repairs. If any part we install in your appliance fails during your warranty period, simply give us a call! We will quickly replace the defective parts at no charge!